Cdr. Peter A. Dutton, JAGC, USN (Ret. 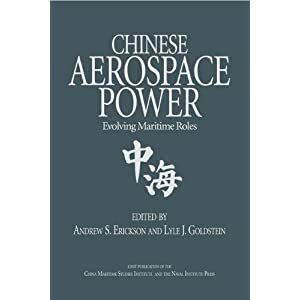 ), Scouting, Signaling, and Gatekeeping: Chinese Naval Operations in Japanese Waters and the International Law Implications, Naval War College China Maritime Study 2 (February 2009). In October 2008, a month after Prime Minister Shinzo Abe of Japan stepped down and the more hawkish Taro Aso took office, a Chinese flotilla of four People’s Liberation Army Navy (PLAN) ships transited from west to east through Japan’s narrow Tsugaru Strait en route to the Pacific Ocean. The vessels were observed together in the Sea of Japan, headed east toward the strait, by a Japan Maritime Self-Defense Force (JMSDF) P-3C patrol aircraft; they were about twenty-five nautical miles west-southwest of Tappizaki, the cape at the northern tip of the Tsugaru Peninsula, where the Sea of Japan enters the Tsugaru Strait between the islands of Honshu and Hokkaido. The flotilla consisted of a Sovremennyy-class missile destroyer—one of four China bought from Russia between 1996 and 2002—a supply ship, and two Jiangkai frigates, one of which was a newly commissioned Jiangkai II.2 Apparently the Sovremennyy and one of the frigates had recently “paid a friendly visit to a naval base in the Russian Far East” before joining the other two Chinese naval vessels in the Sea of Japan and proceeding on through the strait to the Pacific Ocean. The Jiangkai II is the newest and one of the most advanced surface combatants in the Chinese fleet, with a vertical launch system, C-802 surface-to-surface missiles, and the capacity to employ advanced Yu-6 and -7 torpedoes. Although Chinese navy ships and submarines have occasionally transited Japanese straits in the past, this appears to have been the first instance of an armed surface combatant passing between two of Japan’s main islands. Almost immediately, the Japanese Ministry of Defense began analyzing “the real purpose of their activity,” but it acknowledged that despite the close passage of the PLAN warships to Japanese shores, as they made passage through the Tsugaru Strait the Chinese vessels had remained in “international waters and . . . did not infringe upon Japan’s territorial waters.” Thus, although perhaps politically and militarily troubling, the passage was entirely lawful in terms of international law of the sea and Japan’s domestic law. The Tsugaru Strait is a narrow choke point between the Sea of Japan and the Pacific Ocean; it is roughly eight nautical miles wide at its narrowest point, between the islands of Hokkaido to the north and Honshu to the south. It is one of only five straits among its many islands that Japan recognizes as international straits under the terms of the United Nations Convention on the Law of the Sea (UNCLOS) Part III, “Straits Used for International Navigation.” Normally, since Japan is a party to UNCLOS, this would mean that Japan must allow the right of transit passage through its straits to all vessels in their normal mode of operation, including the warships of other states, even states such as China, with which its military and political relations can at times be tense. Under transit passage rules, even though the waters of a strait are within the territorial sea, submarines may pass through the strait submerged and aircraft may overfly the strait without coastal-state permission. In other parts of a coastal state’s territorial seas, the more restrictive rules of innocent passage apply. However, this flotilla’s movement through the narrow waters between two of Japan’s main islands was not a case of transit passage. Nor was it a case of innocent passage, because under its territorial-sea law Japan had chosen not to enclose this strait within its sovereign waters, although the strait is certainly narrow enough to have done so. UNCLOS allows coastal states to claim territorial seas up to twelve nautical miles in breadth. Some states claim lesser waters, for reasons of their own, as did Japan in the Tsugaru Strait. By claiming less than the full twelve nautical mile sea from each shore, Japan left in the Tsugaru Strait what is often referred to as a “high seas corridor” about three nautical miles wide. Technically, the narrow corridor of waters is not part of the high seas, since it is covered by Japan’s exclusive economic zone. Nonetheless, since under UNCLOS, high-seas navigational and overflight freedoms apply in the exclusive economic zone, the shorthand reference to the narrow lane in the channel in the Tsugaru Strait as a “high seas corridor” points to the freedoms of navigation that international law affords all ships, including warships, in this narrow belt and the fact that the aircraft of all states are also free to overfly the waters of the corridor in the strait. Also, in November 2003 a Japanese P-3C observed a Ming-class submarine transiting due west as it exited the Osumi Strait between southern Japan’s Kyushu and Tanega islands, the latter a particularly sensitive area, since it is home to the Japanese space center and rocket launch site from which Japan has over the years launched its intelligence satellites. On this occasion, however, the Chinese submarine was reportedly on scene to perform surveillance of a joint American-Japanese exercise in the waters off Kyushu Island; a spokesman for the Chinese Ministry of Foreign Affairs said that the vessel was performing “normal training” and denied that its presence posed a threat to Japan. Additionally, all sides agreed that the Ming’s passage through the Osumi Strait was both lawful and lawfully conducted. In stark contrast to the lawfulness of these incidents, however, stands the 2004 passage of a Chinese Han-class nuclear-powered attack submarine through the Ishigaki Strait in Japan’s southern Ryukyu island chain, close to the island of Taiwan. During the early morning hours of 10 November 2004, a Han entered Japanese territorial waters while submerged, at approximately one hundred meters, and remained for about two hours before exiting into international waters. Moving from south to north, the submarine passed through the Ishigaki Strait, which separates the islands of Ishigaki and Miyako at the southwestern edge of Japan’s Sakishima island chain, on its return from an operating area in the Philippine Sea to its home port near Qingdao, on China’s Shandong Peninsula. While the submarine was still operating well south of Japanese waters, the JMSDF, apparently informed of its presence by U.S. Navy intelligence sources, began passive tracking of the submarine and monitoring its activities. The Japanese continued to monitor the Han passively as it operated outside Japan’s territorial sea south of Ishigaki Island, but when the submarine turned north toward Japanese waters the JMSDF aircraft switched to active sonar—which uses echoes from an emitted signal to provide trackers with a more precise location of their target. As a result of the sub’s incursion, the JMSDF was put on an unusually high-level alert by order of the Defense Agency director, General Yoshinori Ono, for only the second time since the end of World War II. The JMSDF maintained track of the Han as it passed through the strait and, once the alert order was issued, began more aggressive tracking after the submarine’s exit from Japan’s territorial sea and until it had passed well beyond the Japanese coastline. During this period the JMSDF tracked the submarine for more than two days with P-3C patrol planes, AWACS aircraft, antisubmarine warfare (ASW) destroyers, and SH-60J helicopters. The Han incident was not the first (or last) incursion to cause the JMSDF to exercise its submarine-hunting and -tracking capabilities. Over the past decade, the Japanese have observed more frequent submarine operations activities in the western and northern reaches of the East China Sea by China’s increasingly capable submarine force. As recently as October 2008, for instance, several news reports and abundant Internet chatter reported that the JMSDF had detected two Chinese submarines—a Han and a Song—waiting for the aircraft carrier USS George Washington, newly based in Japan as the replacement for the USS Kitty Hawk, as it transited from its home port at Yokosuka Naval Base near Tokyo en route to a routine port visit in Pusan, South Korea. 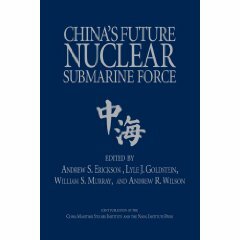 Reportedly the Chinese submarines remained outside Japanese territorial waters, but reports also suggest that the missions of the PLAN vessels may have been to gather intelligence on the acoustic and electronic signatures of the carrier and to signal China’s keen interest in American naval presence in the region. Perhaps the Han, relatively noisy and certain to be detected, accompanied the quieter, diesel-driven Song attack submarine to make sure this strategic signal was received. In any case, these operations appear to have been designed to detect and monitor American fleet movements from Japanese bases, and perhaps to remind the United States and Japan of the increasing strength of China’s submarine-borne antiaccess capabilities. 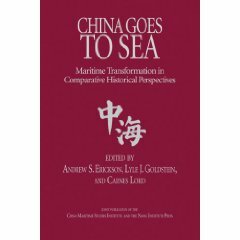 Each of China’s naval activities discussed above appears to have had intelligence collection or political signaling as a core purpose, but a key difference between most Chinese naval operations and the Han’s passage though the Ishigaki Strait is that the Han clearly passed submerged through an area of Japanese territorial seas in which both the Chinese and Japanese perspectives on international law of the sea appear to agree that, in order to pass lawfully, submarines must be on the surface and flying their flag—if they pass at all. 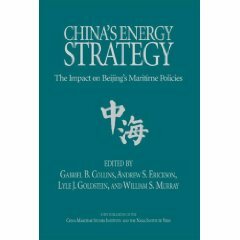 In the remaining cases of Chinese naval activity in Japanese straits, the existence of a corridor in which high seas freedoms apply provides a channel that the vessels of all states may pass through in whatever mode they desire. Thus, whereas both the Japanese and Chinese governments viewed the 2004 submerged passage of the Han through the Ishigaki Strait as a violation of coastal-state rights, all parties agree that the passage of ships and submarines through the “high seas corridor” routes in the Tsushima, Tsugaru, and Osumi straits were fully in compliance with international law—even if those ships were accompanied by a submerged submarine.